Spinal cord injury (SCI) can be utterly devastating, with treatment options barely improving in recent years. A rare bit of good news is that hospitals specializing in SCI care are available in more than 40 states around the U.S., and now, thanks to a $10 million gift in November from the Ohio-based Belford Family Charitable Fund, the Ohio State University Wexner Medical Center is adding one more. It’s estimated that there are 17,500 new spinal cord injuries each year, with an estimated 245,000 to 353,000 Americans living with an SCI in 2017. But in addition to the trauma and long-term damage from the initial injury, SCIs often lead to additional health problems, including high blood pressure, incontinence, increased risk for infection, obesity and diabetes. Previous research by Ohio State has shown that spinal cord injuries can even cause a “paralysis” of the immune system. Largely because of these secondary issues, the mortality rate for people with spinal cord injuries has not changed in more than 20 years. Established in 2008, the Belford fund has kept a low profile, and apparently has no website or any widely reported mission statement. It reported about $38 million in assets in 2017. This recent Belford gift will establish the Belford Center for Spinal Cord Injury at The Ohio State University College of Medicine in collaboration with Ohio State’s Neurological Institute, according to a university press release. The center will focus on research, advances in patient care, education and training to redefine SCI care. The Belford gift will be used to create a current-use fund to support the mission of the center, along with two endowed chairs in spinal cord injury and a research innovation endowed fund. And while the money is new, the bones of the center are not: The Belford Center will expand on the work done over past decade at Ohio State’s Center for Brain and Spinal Cord Repair. The center has trained more than 200 researchers worldwide—many of whom have gone on to lead other spinal cord injury research teams in the United States and abroad. Phillip Popovich, professor and chair of the Department of Neuroscience at Ohio State and director of CBSCR said the Belford gift will allow researchers to focus on the type of innovative science necessary to improve survival rates for spinal cord injury. “The Belford gift is a game-changer for Ohio State in a number of ways,” Popovich said in the press announcement. It establishes a lifetime commitment to spinal cord injury research at Ohio State, and will help the institution accelerate research. The Belford Center will focus on the treatment of spinal cord injuries and the many associated complications. "We're one of the only places looking at this whole-body approach for spinal cord injury," said Dana McTigue, vice chair of research in the Department of Neuroscience, in the press announcement. For example, research conducted at Ohio State has shown that spinal cord injuries can permanently damage the immune system. 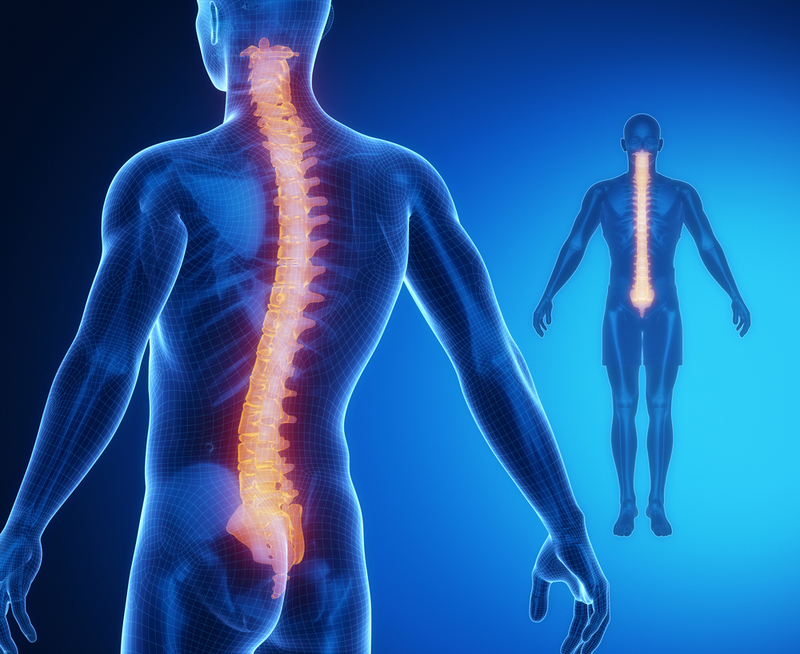 Patients with injured spinal cords are 37 times more likely to die of an infection than those without a spinal cord injury. Ohio State researchers are also focused on understanding the gut-immune-central nervous system connection and its role in recovery from SCI. Researchers have found that SCIs “cause dramatic shifts in the types of bacteria normally found in the intestines, leading to a microbial imbalance, which can cause or contribute to disease.” This insight could lead to important new therapies. Where’s the Rest of the Money for SCI? When it comes to SCI, only a handful of funders come to mind. We have previously reported on the Craig H. Neilsen Foundation, a private foundation devoted to helping people with spinal cord injuries. There’s also a U.S. Army program devoted to spinal injury research, and other charities include the Christopher & Dana Reeve Foundation and the Travis Roy Foundation. The Belford Family Foundation is a welcome addition to an area badly in need of funding. There may be a reason for the funding shortage: a lack of SCI research labs combined with a shortage of scientists in the field, and new scientists entering it. The Belford Center and CBCSR seeks to address these gaps. Advances in research are giving doctors and people living with SCI hope that spinal cord injuries will eventually be repairable. With new surgical techniques and developments in spinal nerve regeneration, cell replacement, neuroprotection, and neurorehabilitation, the future for spinal cord injury survivors looks brighter than ever. If the Belford family opts to maintain and even strengthen their focus on spinal cord injury research and care, they could be providing vital funding at a time when computer technology and other innovation are finally starting to move the needle on SCI therapy.